Jack Torres has been harboring, zealously nurturing a hidden guilt for three years. This mire of emotions has hardened his heart and his want to reconnect to the living world, keeping him isolated and unapproachable. Brant Teller is a chance encounter Jack keeps from growing physically violent in a crowded nightclub. 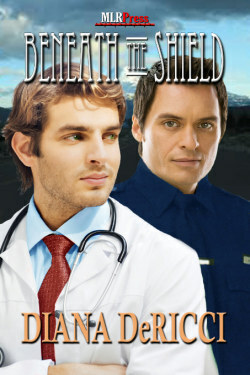 Parting ways, Brant doesn't expect to see the brooding, silent officer again. Yet when a domestic violence call brings the surly officer right to his ER, Brant takes a chance. What begins as a Sunday of football has thepossibility to become so much more. If Jack will open himself up enough to release the agony of his own personal nightmare.